How do we rebuild our homes, roads and state buildings smarter, so they are less susceptible to destruction from a natural disaster? What materials should we use, where should we build and how do we make structures cost effective and energy efficient? 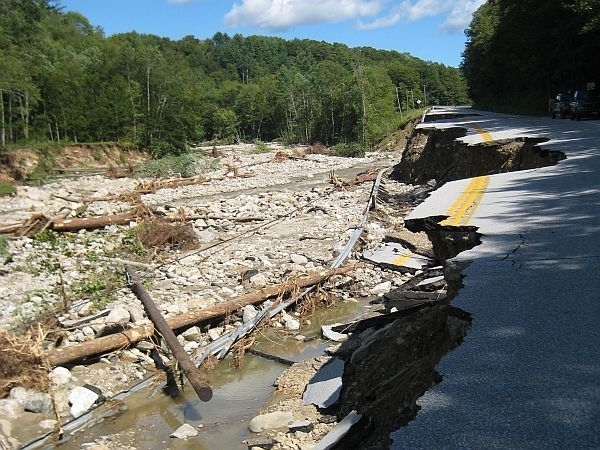 UVM Geography Professor Beverly Wemple and Architect Jeff Schoellkopf take on the big concepts of reconstructing Vermont after the effects of Tropical Storm Irene. Plus, artist Ned Castle worked with the Vermont Coalition of Runaway and Homeless Youth Programs to capture the reflections of a group of young Vermonters talking about the highs and lows of their lives. Those moments are recreated through staged reenactments, photographs and audio narrations.